Designed for large-scale, data-intensive applications, the SAS 9305-16i 12Gb/s SAS HBA is ideal for increased connectivity and maximum performance for high-end servers and appliances with internal storage. 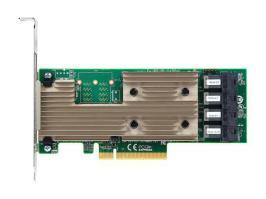 With performance of over 1.5 million input-output operations per second (IOPS), this adapter delivers the performance and scalability needed by critical applications. Provides maximum connectivity and performance for high-end servers and applications.